“Ewwwww,” Brad Ward’s fifth-grade students called out in unison. Ward scraped cells from inside his mouth using a toothpick and placed them on a microscope slide, modeling the steps of the “cheek to cheek” classroom experiment the students were about to conduct themselves. The Rosemont Forest students’ disgust quickly turned to fascination as Ward added dye to the slide and displayed the microscopic results on an iPad. Fifth-graders view their teacher’s cells through an iPad display. No one had to wait for each student to peer through a compound microscope to view Ward’s cells, rather, they shared the learning experience at one time together. 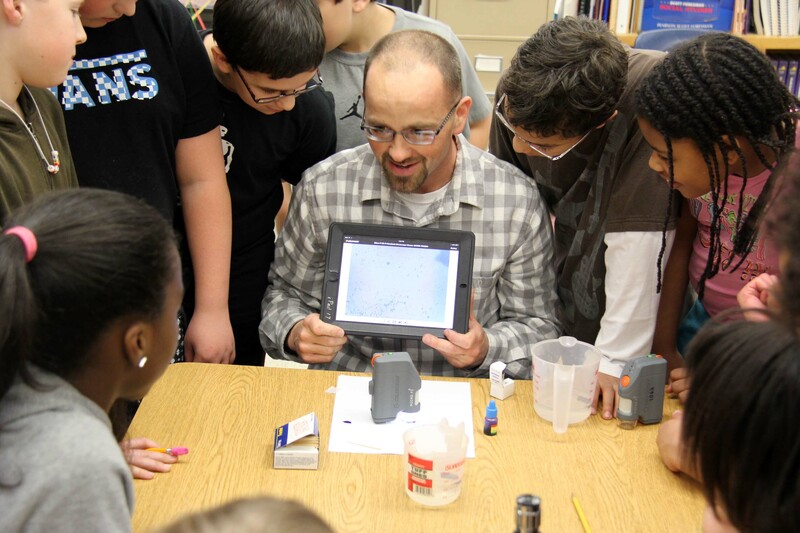 This is one of the reasons Ward applied for a Virginia Beach Education Foundation (VBEF) innovative learning grant to acquire digital microscopes for his school. 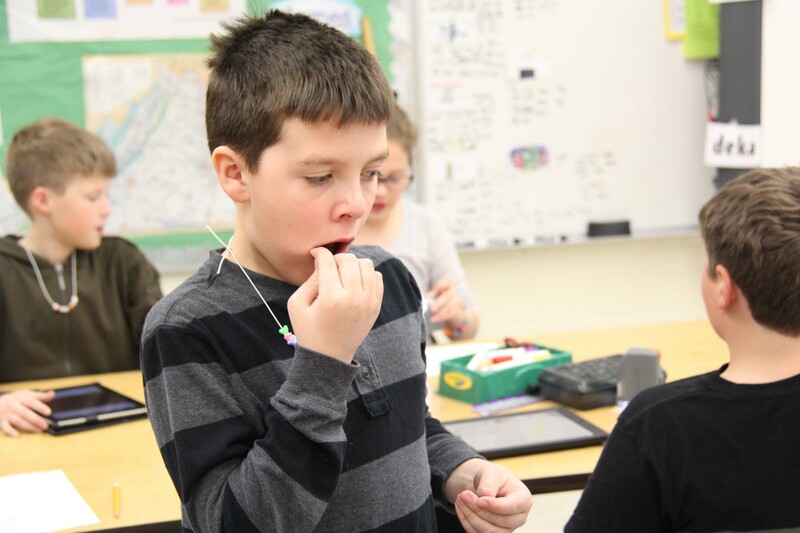 A student uses a toothpick to get cells from his inside his mouth. Ward was correct. His students couldn’t wait to use this “amazing tool.” They quickly gathered the necessary equipment and got to work in teams of two. “Rinse your mouth out so you don’t have leftover lunch on your slide,” called out Ward as students decided whose cells would be used. 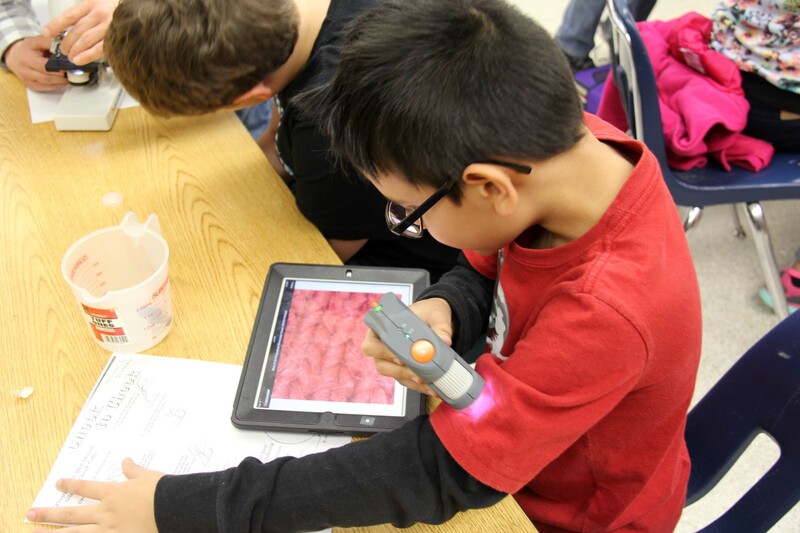 As students rinsed, some explored the capabilities of the Wi-Fi enabled handheld digital microscopes using items within arm’s reach. A fifth-grader uses a Micro Fi for a close-up view of the fabric in his shirt. The student teams are each using one iPad to view images, but the Wi-Fi enabled digital microscopes are able to connect to up to three smartphones or tablets at once. Ward likes seeing students work together in authentic investigation. Students work to prepare slides for their microscope. 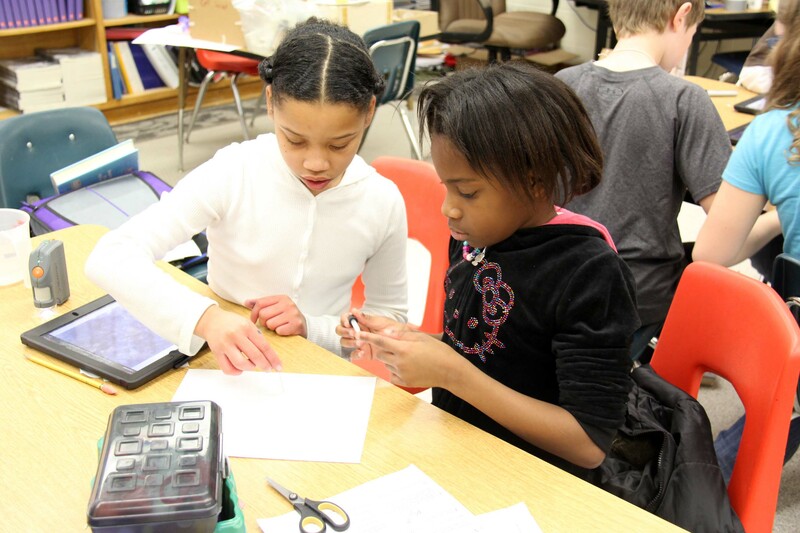 With their ease of use, Ward speculates that the handheld microscopes can be used by students in kindergarten up through a high school AP Chemistry class. More importantly, he sees the potential for improved teaching and learning, which is the mission of the VBEF and companies like CH2M Hill that funded the grant Ward received. “Imagine the creative thinking that will come with a greater understanding of the scientific objectives that most students only hear about and rarely see,” wrote Ward. “Our teachers will have an entire new world of images and videos that can be used for authentic performance tasks and challenges. To learn more about the Virginia Beach Education Foundation and its Adopt A+ Grants program, visit www.vbef.org or contact VBEF coordinator Debbie Griffey at (757) 263-1337.